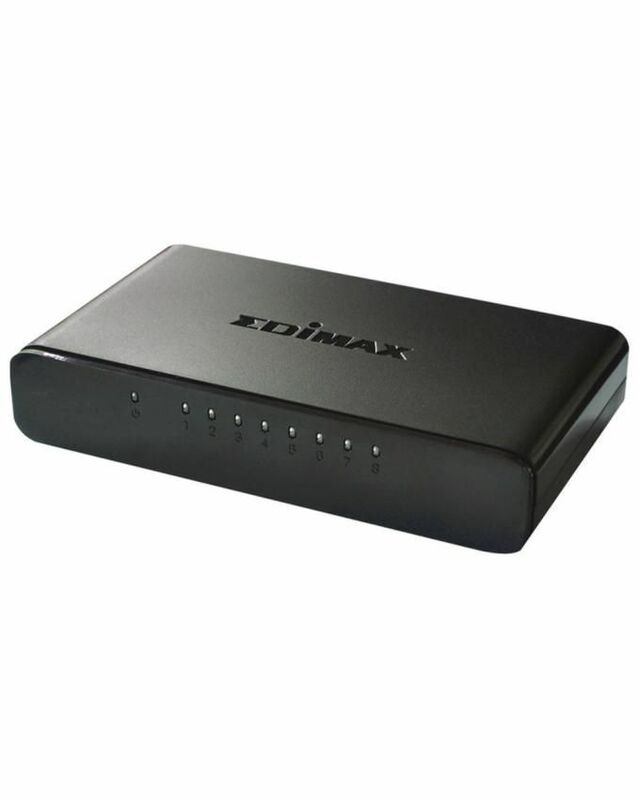 The ES-3308P is a 10/100 Mbps unmanaged Ethernet desktop switch designed to enhance network performance. 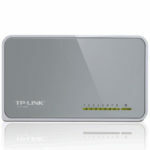 It’s compact, sleek design offers outstanding performance and high efficiency, using store and forward packet-switching technology to provide reliable data transfers, ideal for network connectivity in the SOHO environment. To extend home networks or meet online gaming, multimedia transfer or streaming requirements the ES-3308P is a cost-effective Fast Ethernet solution. The plug-and-play design ensures users can easily connect network devices such as PCs, network-attached storage or print servers to a home network with no manual configuration necessary. Each of the ES-3308P’s ports automatically detect whether connected network devices are running at 10Mbps or 100Mbps and half-duplex or full-duplex mode, and adjusts the speed and mode accordingly ensuring easy and hassle-free operation. The ES-3308P forwards and receives traffic seamlessly with its non-blocking wire-speed. Every port of the ES-3308P supports speeds up to 200Mbps in full-duplex mode simultaneously, providing full wire speed to connected devices and allowing you to run a high speed network smoothly. When a network device is shut down and/or an inactive link is detected, the power usage adjustment feature automatically reduces power usage. The switch’s power consumption will be dynamically adjusted according to the link status and the number of active network devices. Devices equipped with this feature automatically detect the length of connected Ethernet cables and adjust power usage accordingly. The shorter the cable length, the less power it consumes. The ES-3308P is plug-and-play and supports a wide range of network protocols. Installation and network management is quick and straightforward, and clear and convenient LED indicators display easy to read port and switch status.